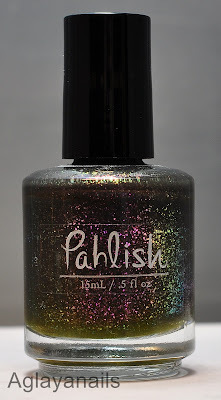 Coquettish Creature has a dark taupe pase with colorshifting flakies, from pink over gold to green and blue. 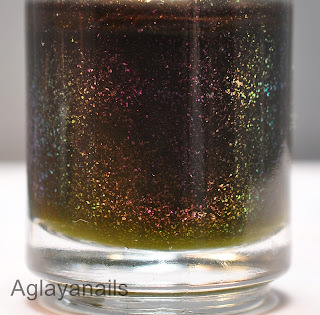 Sadly, the colorshift didn't translate to the nails very well, it's more visible in the bottle shot. I used three coats for aopcity and added one coat of KBShimmer Clearly On Top. 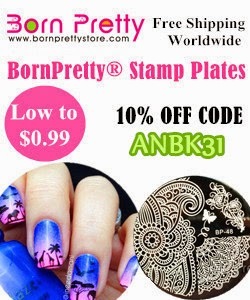 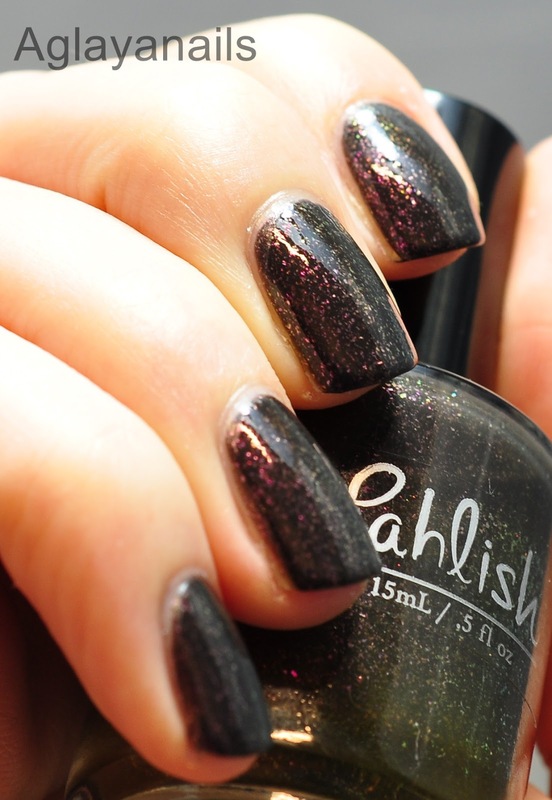 Pahlish polishes are available on their own shop and at Overall Beauty.